State it in a way that gives you a little thrill of excitement! Do you have to be specific and measurable and give yourself a time deadline? ONLY if it feels good to you! For some people, setting a specific time goal gives a rush of energy. Do it! For some people, setting a specific time goal feels panicky. Don’t do it. Let’s say that you want to be an Executive Sales Leader. 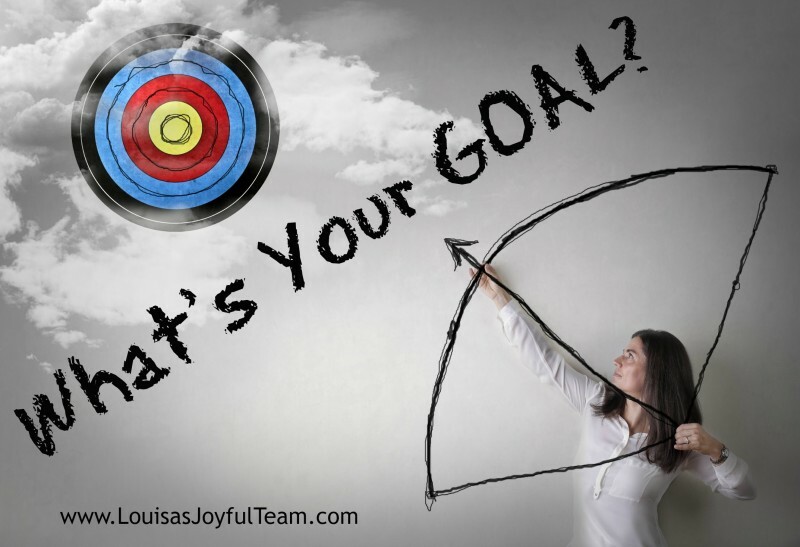 Here are some different ideas of ways to state your goal. You pick the one that FEELS best to you. I want to be an Executive Sales Leader by November. I am an Executive Sales Leader. It was so fun to celebrate Christmas as an Executive Sales Leader! I am in the process of becoming an Executive Sales Leader. I don’t even really know how it happened, but now I’m an Executive Sales Leader! My team grew like crazy and now we are an Executive team! The “right” way to state your goal is different for everyone. Which one makes you smile? Look in the mirror and say them? Which one makes your eyes sparkle? Want to work through your goals with me? Connect on Facebook!